At Halo we offer a wide range of Complementary Health Therapies to help improve and maintain good health and wellbeing. We use acupuncture as an integrated approach in the management of pain and inflammation. It involves inserting fine needles into specific points in the body to stimulate the body’s healing mechanism. The use of needles to puncture the skin for therapeutic benefits has been around for over 3000 years. The traditional concept of Acupuncture is based on the balancing of Qi (flow of energy) to heal disease or to maintain wellbeing. This energy flows through our internal organs in channels called meridians. Very fine, sterile needles are inserted into specific points along the meridian to influence the Qi and therefore the symptoms the patient is suffering from. More recently, scientists have investigated the physical effects of acupuncture. There are now many research papers showing the release of beneficial, natural chemicals during treatments, which can explain some of the benefits experienced by patients. 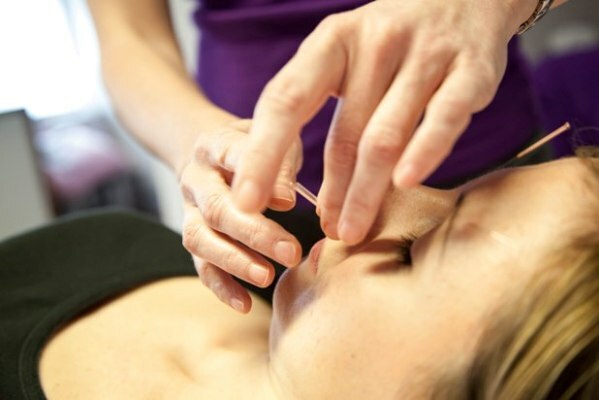 Pain relief is a major positive effect of acupuncture, so it is often used by physiotherapists as an adjunct alongside other treatments, and it can be a very successful treatment for nerve pain, chronic pain, arthritis, anxiety and muscle trigger points. Aromatherapy is the use of pure plant oils with unique therapeutic properties to promote physical and psychological well-being. It dates back 3500 years when these oils were used medicinally and were highly prized trading commodities. Many medicines today are still based on the chemical properties found in these essential oils. Before starting aromatherapy treatment, each person receives an assessment of their overall health and lifestyle to determine the most suitable blend of oils for their condition. This is then used during a massage which can help relieve symptoms while promoting relaxation and well-being. The body’s own immune system is stimulated, eliminating toxins and rebalancing the flow of energy. Aromatherapy is suitable for most patients, even those with complex conditions. There is gathering evidence that it is particularly helpful with back pain, chronic pain, during pregnancy, anxiety, dementia and insomnia. It can also be helpful for patients undergoing treatment for cancer. Reflexology dates back 5000 years and references to working on the feet, hands and ears in many civilisations are documented throughout history. It was discovered more recently that reflexes on the feet are a mirror image of all the organs, glands and parts of the body. Using a system of pressure and massage on these points, reflexology can help to balance the natural flow of energy in the body which illness or stress may disrupt or block. Treatment can improve circulation which allows healing and detoxification to occur. Reflexology is safe and comfortable for most patients with many health issues. It has been shown to be very helpful for fertility, during pregnancy and in preparing the body for labour.